LIMITED OFFER, ONLY WHILE STOCKS LAST! 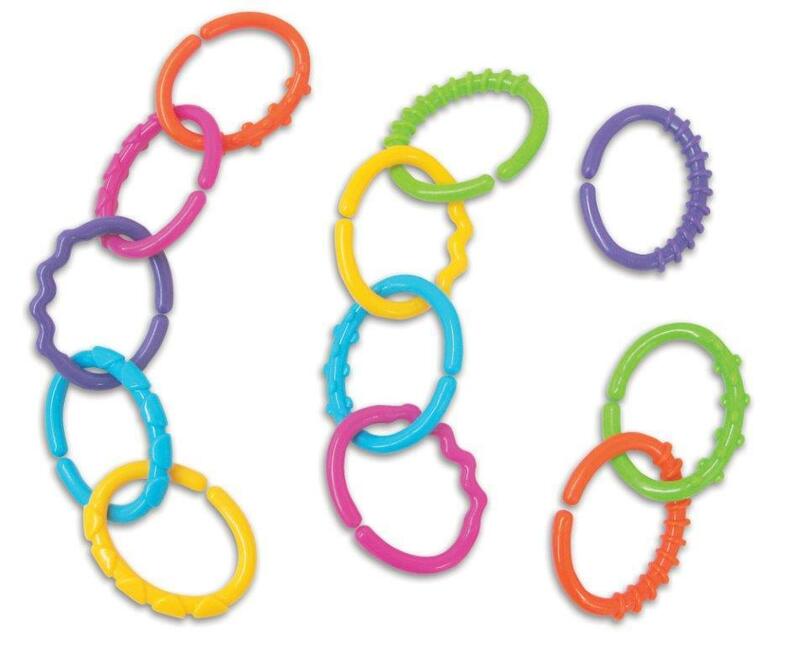 Twelve bright and colourful interlocking rings, each featuring a different bumpy, lumpy texture that will soothe baby when teething. 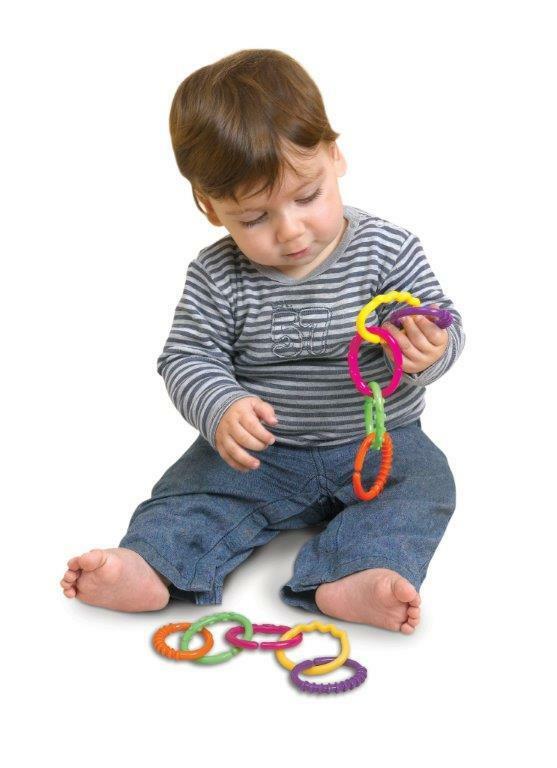 They are also great fun to jangle and shake around, and can be easily clipped onto the buggy or carry cot.